On February 20, more than 700 Texans gathered in Austin to visit with lawmakers and elevate oil and gas issues as part of Texas Energy Day. PESA Members were included in the more than 60 companies, associations and chambers of commerce who sponsored the event hosted by the Texas Oil and Gas Association (TXOGA). 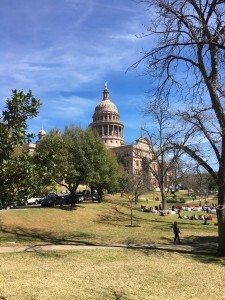 Texas Energy Day participants urged lawmakers to hold fast to policies that have allowed Texas to safely and productively transform the state’s natural resources into hundreds of thousands of good jobs and critical state and local tax revenue. In fiscal year 2018, the Texas oil and natural gas industry paid more than $14 billion in state and local taxes and state royalties – amounting to $38 million a day to state and local coffers. Texas leads the nation in oil and natural gas production, pipelines, and refining capacity, and provides more than 348,000 Texans with good-paying jobs. PESA is proud to be a member of TXOGA, a statewide trade association with approximately 5,000 members representing every facet of the Texas oil and gas industry.